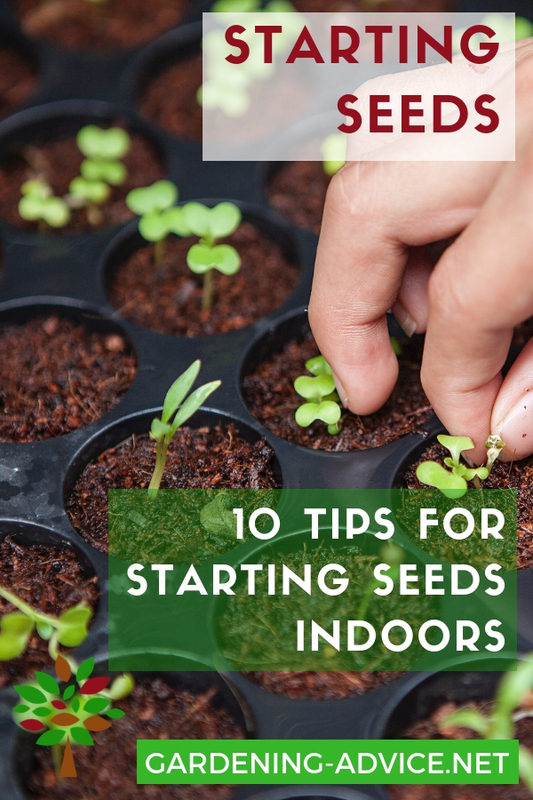 If you want to really get a head start in your garden starting vegetable seeds indoors is the way to go. If soil temperatures aren’t high enough yet for a successful germination of your seeds you are better off starting them inside. For heat loving plants like tomatoes, cucumbers or pepper the temperatures in early spring are not high enough in unheated greenhouses or outside for successful germination. 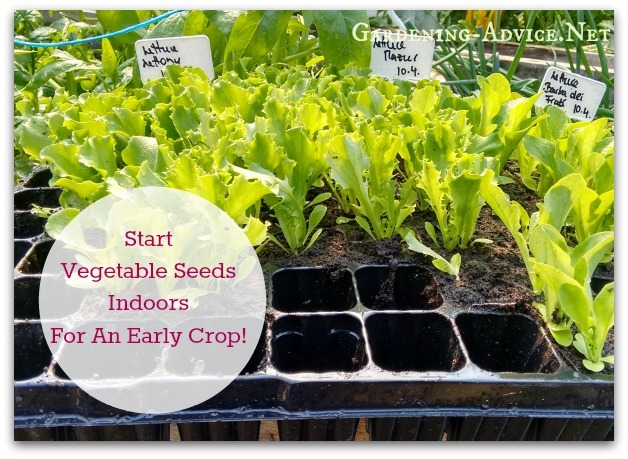 By starting them indoors you will enjoy a crop of tasty veggies way earlier. The main advantage for me is, that I gain valuable time and space in my growing beds. Seedlings, depending on the variety and time of the year, spend a minimum of about 3 to 5 weeks in their seed trays or modular trays before they get planted into their final position. I also always have plants ready when some bed space becomes available. Gaps can be filled immediately allowing for optimum use of my real estate. 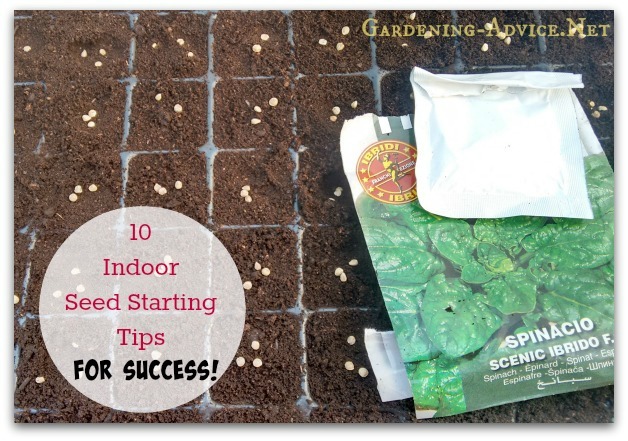 Watch this short video about sowing seeds indoors. 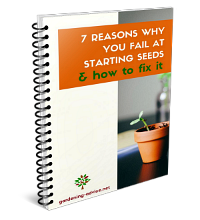 It will give you the basic knowledge you need to get your seedlings off to a good start. 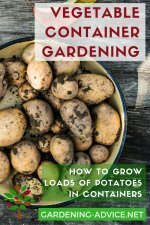 Don’t use soil from your garden. It will get rock hard in the pots. It also has a lot of weed seeds in it that will compete with your seedlings. 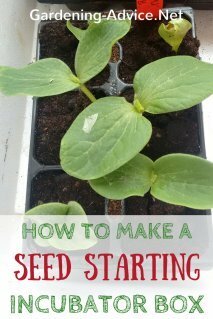 The investment into a good seed starting mix is well worth the money. Don't use old potting soil from last year that has been hanging around in a corner of the yard. It will yield poor results! I am a big fan of modular cell trays! You can pop out each individual plant without damaging the root system. The plants will settle into their new spot very quickly with very few losses. 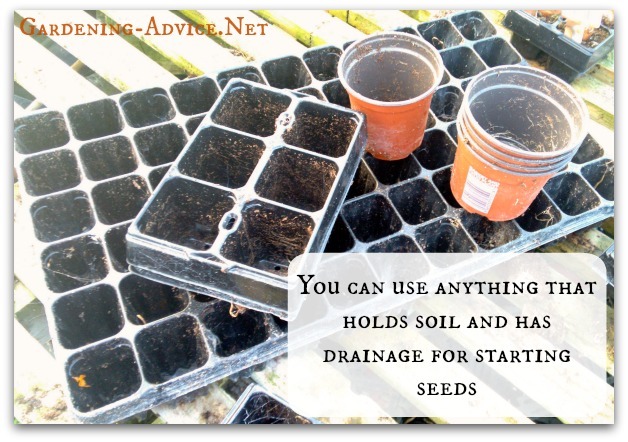 If you sow into regular seed trays you have to single out the seedlings afterwards. This is more work, disturbs the seedling and sets it back. If you invest in a good quality you can reuse these trays for many years. Some of mine are in use for more than 10 years! You can use anything from toilet rolls to small pots. But I like modular cell trays the best! 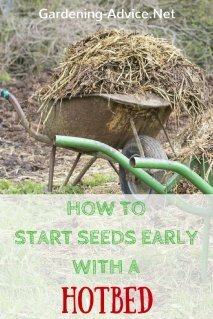 Seeds that are out of date or got damp won’t have a high germination rate. Test older seeds for its viability with a germination test. 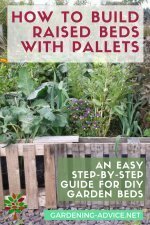 Where possible I use seeds from an organic source. The average rule of thumb for sowing depth is 3-4 time the thickness of the seed. If you bury them too deep they will have a hard time to come up. Read the instructions on the seed packet. Some seeds need light for germination and don’t like to be covered. 5. 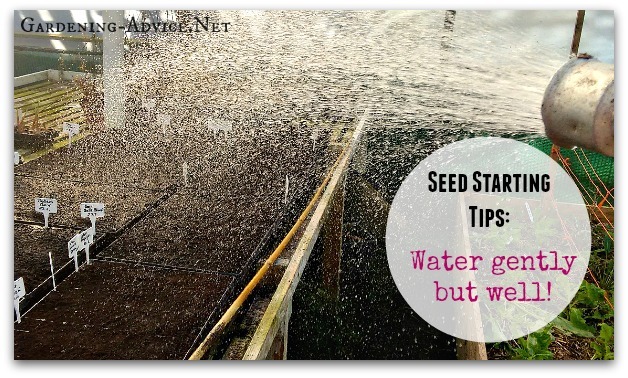 Water the seeds gently but thoroughly. The potting soil should be well moistened. Depending on the temperature you might not have to water for several days to a week after that. Use some liquid seaweed in the water. That will help to bring on healthy and vigorous seedlings. A sprayer helps for watering delicate seedlings. 6. Cover the seeds with a horticultural fleece or a clear plastic film. This will create a microclimate that will speed up the germination process for starting vegetable seeds and prevents the soil from drying out too quickly. 7. Seedlings need good light! 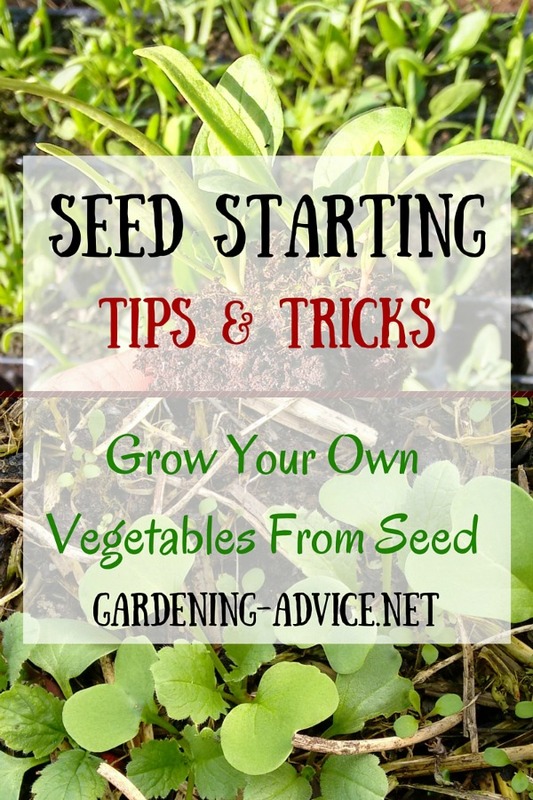 Once the seeds have germinated make sure that the seedlings have good light otherwise they will grow long and leggy. If your lighting conditions are not ideal indoors you can use a grow light. A more improvised but cheaper solution is to put a reflector like tinfoil on some cardboard behind your seed trays. 8. 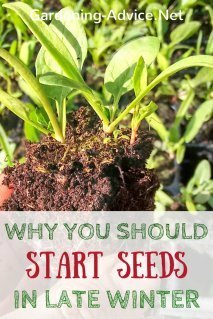 Don’t wait too long before planting out your seedlings. They should have a well-developed root system and, at least, two sets of leaves. If you are using the modular cell trays you will see the roots coming out at the bottom. Just pop them out of the cell and they are ready to be planted. If you leave them too long they will be slow when transplanted and won’t develop as well. 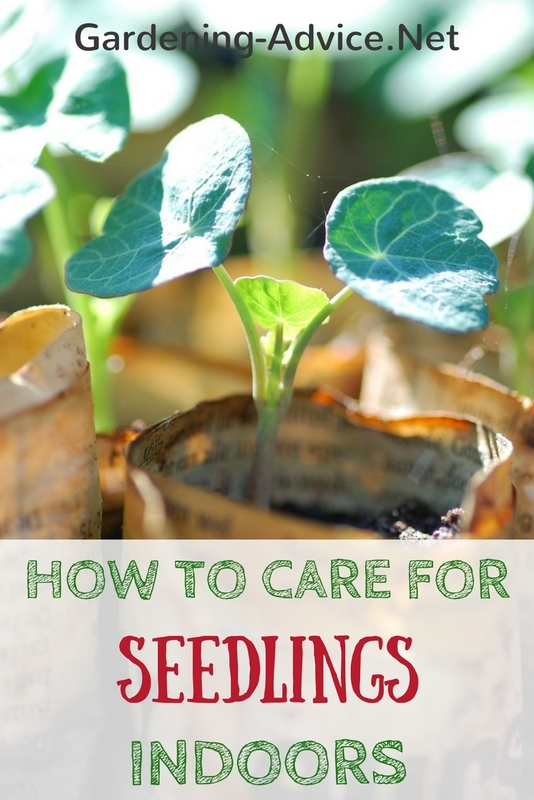 For seedling care tips click here! These lettuce plants are ready for planting out. 9. 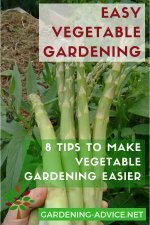 Some vegetables grow better if they are sown right into the soil. Here are some of them: carrots, parsnips, radishes, arugula and lamb’s lettuce. 10. Some plants can be planted out in clusters of 3-4 plants. A good example for this would be beetroot, scallions, onions or leeks. Others develop better if they are planted individually like swedes, Brussel sprouts, broccoli or tomatoes. If you have several seedlings of these in one cell just thin to the strongest one. 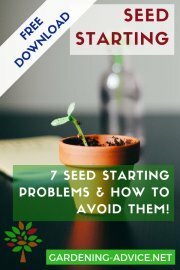 Get our free seed starting ebook here!